When you think of Caviar it's either a love or hate for those little black fishy balls, but one thing always springs to mind......expensive as with everything luxury there comes a price tag, and the Skin Chemists Advanced Caviar Range is no exception with prices from £79.00- £129.00. 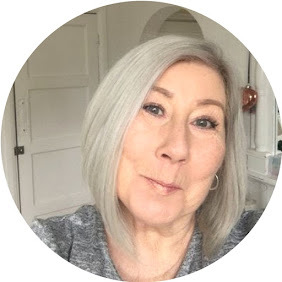 Regular readers will know that I have a bit of a thing for Skin Chemists and have written about them a few times previously which you can catch up on here. Designed to Protect, repair and regenerate this cream contains Caviar extract, Seaweed extract and Coconut Oil, a tiny bit of this really does go a long way, it is absorbed really quickly and leaves your hands super soft, the thing I will say about this against other hand creams is that the effects last, a lot of creams will soften instantly and withing an hour or so leave you feeling as though it needs applying again, this, ( with the exception of hand washing ) lasts literally hours. This really is luxury at it's best, this serum is designed to be your first step after cleansing, it is silky smooth absorbs beautifully and is the perfect base for your moisturiser, from the very first use you can see a visible difference in the reduction of fine lines and even deeper lines appear softened. There is a daily moisturiser in this range but as with all Skin Chemists products they work quite happily with your existing skin care. Designed to boost, hydrate and smooth, containing Caviar extract, Seaweed extract and Aloe Vera this super serum will last ages as a tiny pea size amount is all that is needed for your face and neck. As a brand I know Skin Chemists are not cheap and I also know that the rule you get what you pay for does not always apply ! but I can honestly say I have never ever been dissapointed with anything I have tried from them, there are also a couple of products that even Mr LB swears by.